The Latchford Community Recreation Centre plays an essential role in promoting active lives. It offers many services and activity choices. 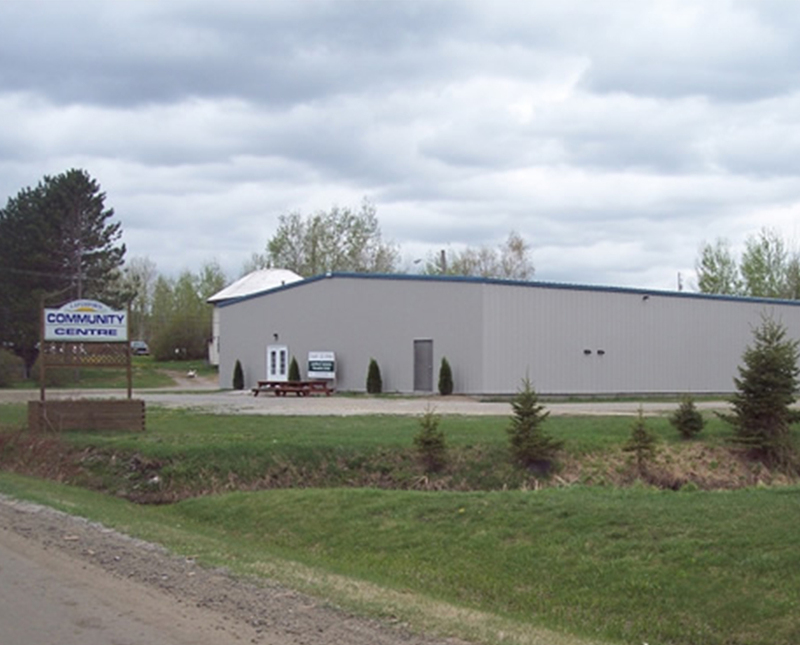 Take a few moments to find out what our facility has to offer you! Why not rent the rink or hall for your next party/event. Reserve the hall to serve your snacks and cakes. For more information call the Town of Latchford @ 676-2416. Planning a Wedding Reception, Meeting or Social Gathering? Whether you’re looking for a place to hold a birthday party, licensed craft sale or business seminar – we’ve got just the room for you! The Latchford Community Recreation Centre offers an informal meeting/banquet room for 10 people or 150 people. For more information call the Town of Latchford @ 676-2416. Looking for a Place to Workout? The Latchford Fitness Center located next to the post office in the Latchford Community Recreation Centre building is a fully stocked gym featuring both cardio and weight training equipment. This gym was partially funded by the Ontario Trillium Fund. For more information call the Town of Latchford @ 676-2416.